Matte paint finishes are a hot trend in the high-end car market and their appeal has driven appliance manufacturers to jump on the bandwagon as well. If you can get your Tesla with a black matte finish, why not your refrigerator? 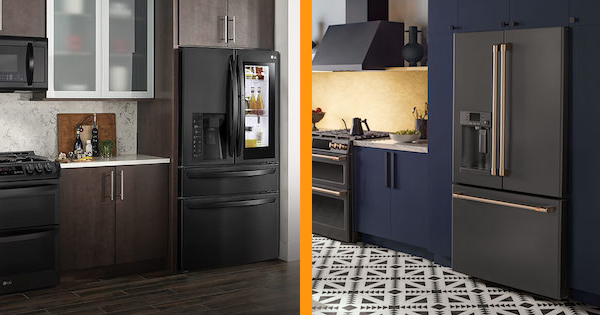 If you want to upgrade your kitchen with a new distinctive and rich look, the new black slate appliances by GE or the new black matte appliances from LG might be the perfect fit. Their eye-catching style will WOW your family and friends! 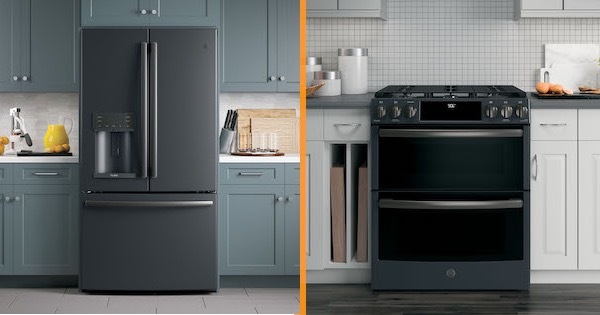 If you want to upgrade your kitchen with a new distinctive and rich look for 2019, the new black slate appliances by GE might be the perfect fit. They can help create a look that will WOW your family and friends. With all the new colors that have come and gone, black stainless steel appears to be one of the strongest trends in over a decade. It has the strongest commitment from the manufacturers including LG, KitchenAid, Samsung and Frigidaire and will probably give traditional stainless steel a run for its money. GE's black slate is different and unique. It fits in with the trend away from traditional stainless steel toward black stainless steel but offers something unique. GE has been producing slate appliances for the past few years and is the only manufacturer offering this color. 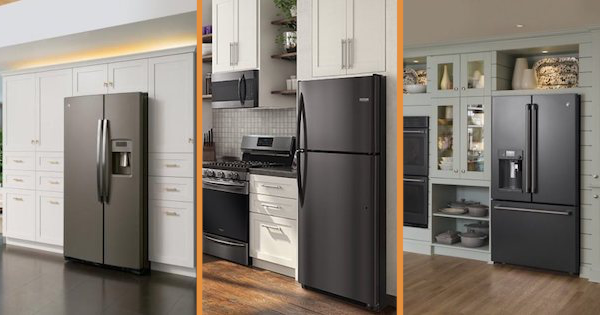 A color revolution going on in the appliance industry has produced three awesome new premium finishes to choose from. For years, stainless steel ruled the premium appliance industry as the finish of choice. That appears to be changing - fast! In the last three years, several manufacturers introduced black stainless steel as an option and it has started to catch on. As of January 2019, just about all of the major brands are offering black stainless steel, including GE, LG, KitchenAid, Samsung, and more.